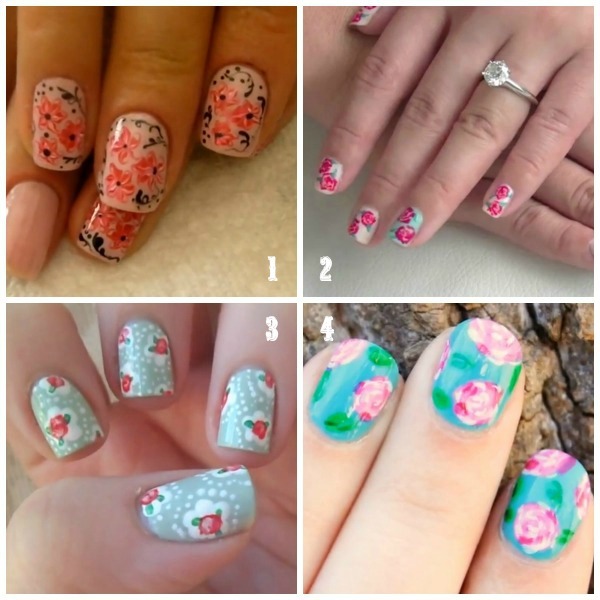 It's Spring, so it's time to get with the theme with beautiful floral nail art. Nail art has been very popular for a while, and there are many tutorials for various styles. Florals are a great classic motif that works great in Spring and Summer. The tutorials I'm featuring today are all YouTube video tutorials, with the exception of one towards the end. 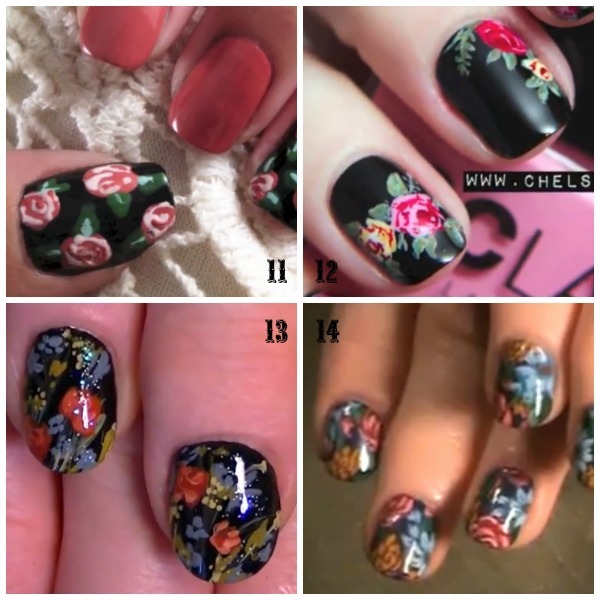 Click on the nail tutorial titles to be taken to the corresponding instructions. The difficulty is up to your experience with nail art, and how steady your hands are. 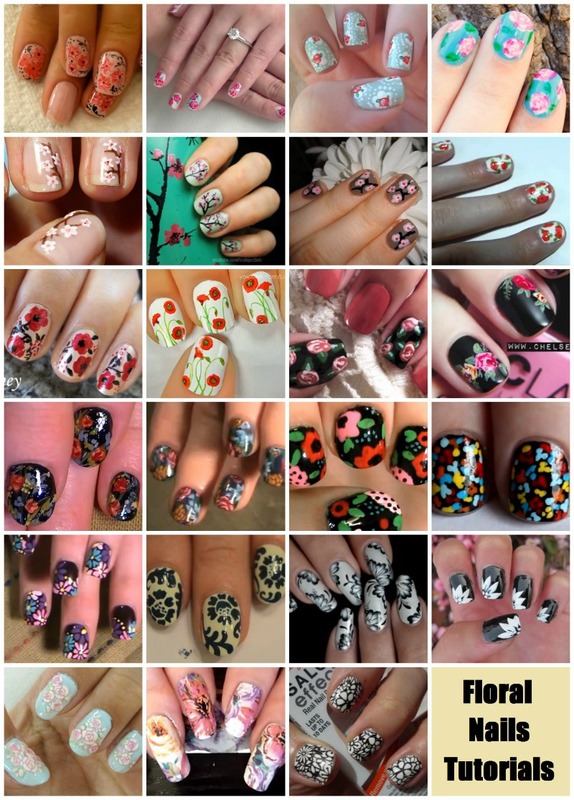 If you are terrible at nail art, go to the bottom of this post for some awesome options. If you are terrible at doing any nail polish artwork, try these options. 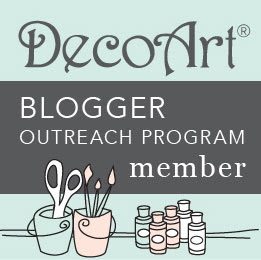 The 1st one uses floral stickers...which are super easy to use, and available in many types and designs. The 2nd uses an adhesive and a printed nail foil tape. This is probably a bit tricky, but I love this design and option. The 3rd uses adhesive nail strips. If you like nail polish, you've probably seen these by many brands in many designs. They are a great quick and long lasting alternative to having nail art without any fuss. Which ever style, colors, and design you like, give this trend a try. Even if you like a different design, search for helpful tutorials on YouTube. 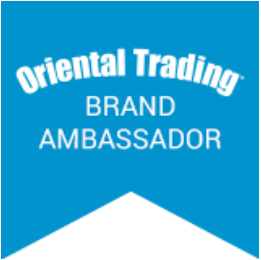 It's a great way to learn a new skill and have a new experience. To save all these tutorials to a Pinterest board, consider Pinning the below image.